Now this is how you build anticipation. The Air Jordan was designed on September 15, 1984, and debuted by Michael Jordan in a pre-season game a little over a month later. He wore the Nike Air Ship quite a bit as a rookie, but was fully transitioned into Air Jordan by the time the All-Star Game and Dunk Contest rolled around on the weekend of February 10th. The sneakers released at retail on April 1, and by then, the frenzy was at its peak. 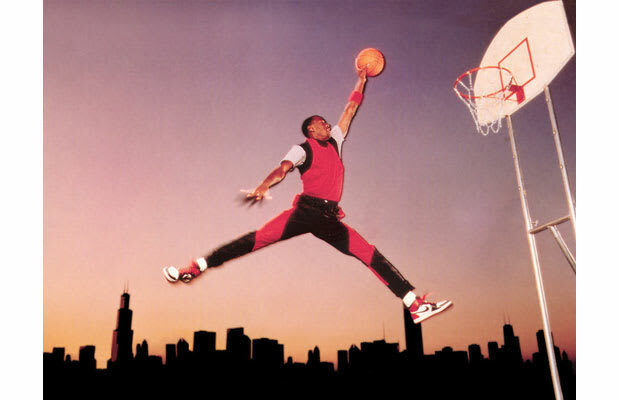 Air Jordan sold $100 million in its first year.